December 21, 2017 - Senator Corman participates in Ugly Sweater Day at the Mifflin County Acadamy of Science and Technology during a tour of the Mechatronics, Machining, Collision Repair, and Culinary Arts departments. 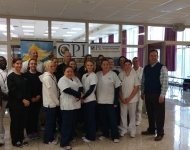 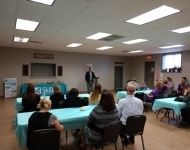 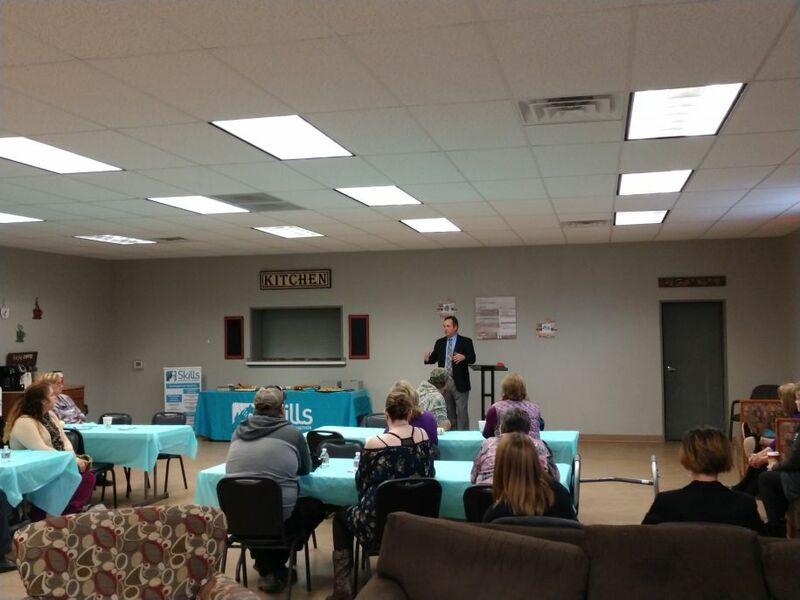 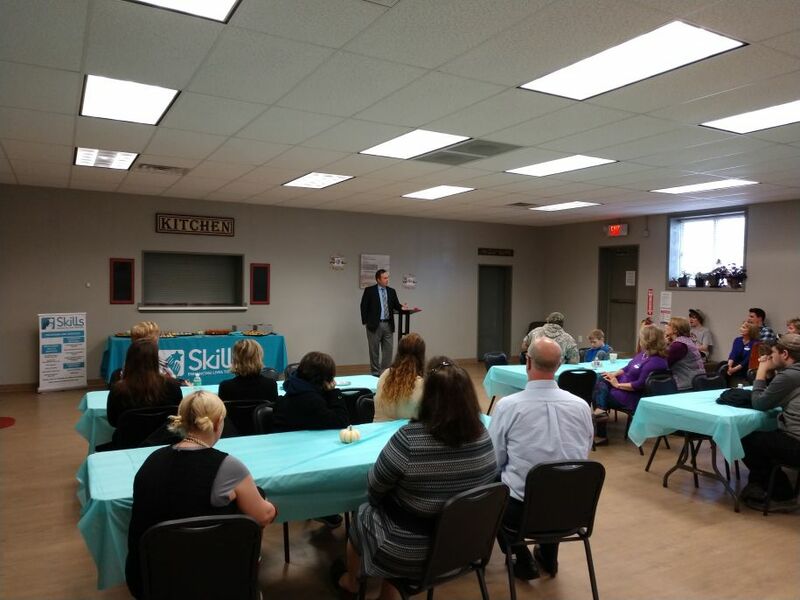 November 9, 2017 - Senator Corman visits the grand opening of the Skills of Central Pennsylvania, Inc. Philipsburg Regional Office. 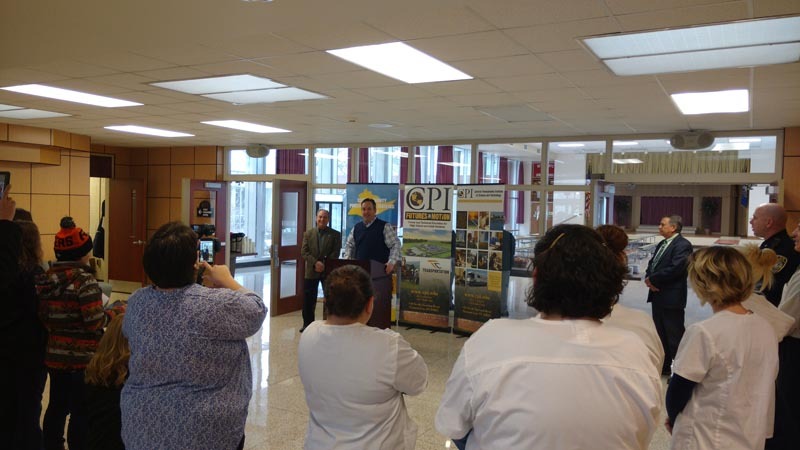 October 30, 2017 - Senator Corman tours J.C. Blair Memorial Hospital and meets with administrators. 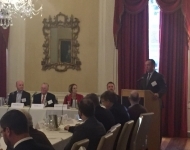 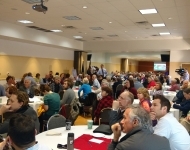 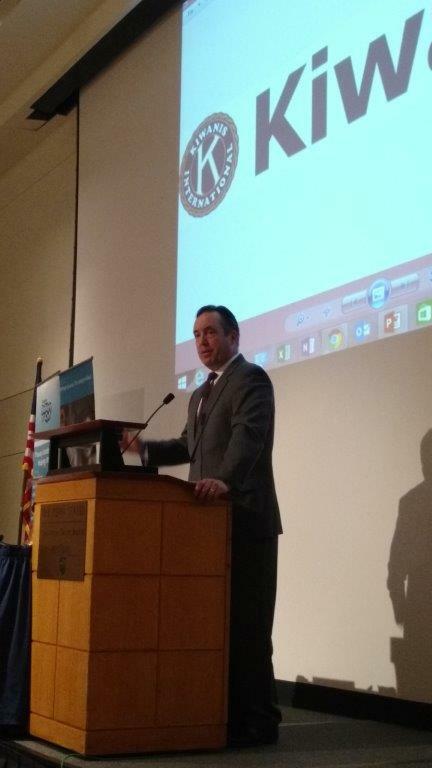 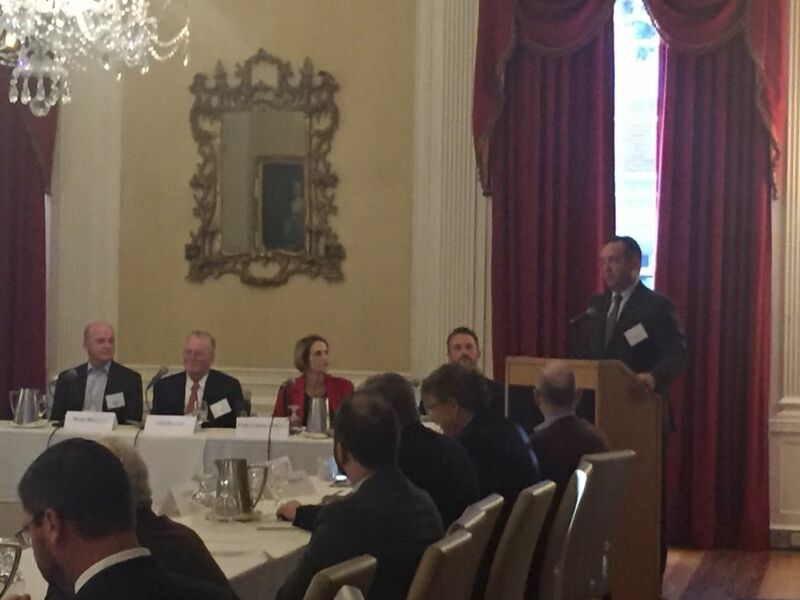 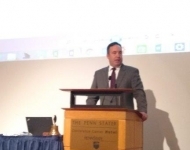 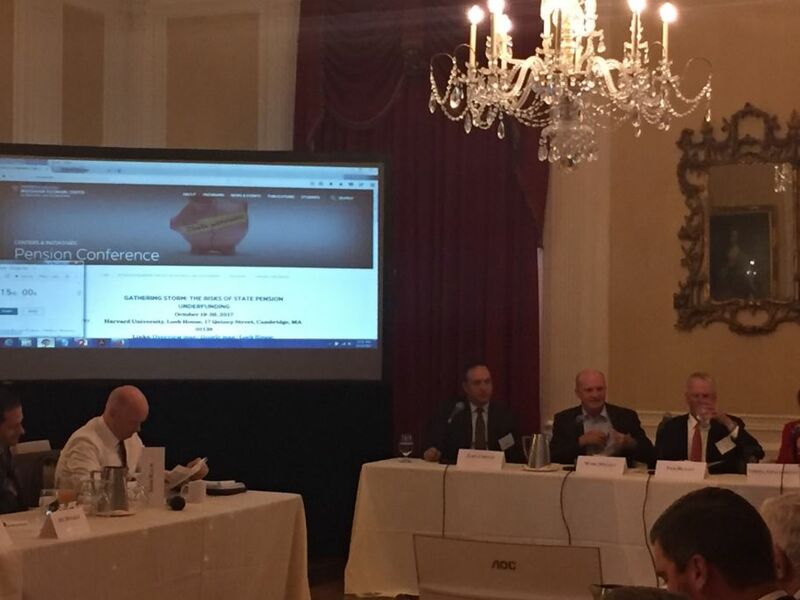 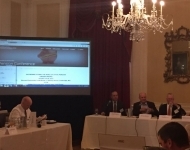 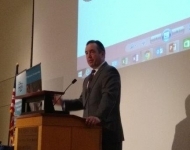 October 20, 2017 – Senator Corman at the Harvard University’s Pension Conference to discuss the success of the Pennsylvania Legislature in reforming a pension system that struck the proper balance between taxpayers and providing competitive retirement benefits. 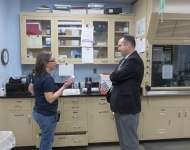 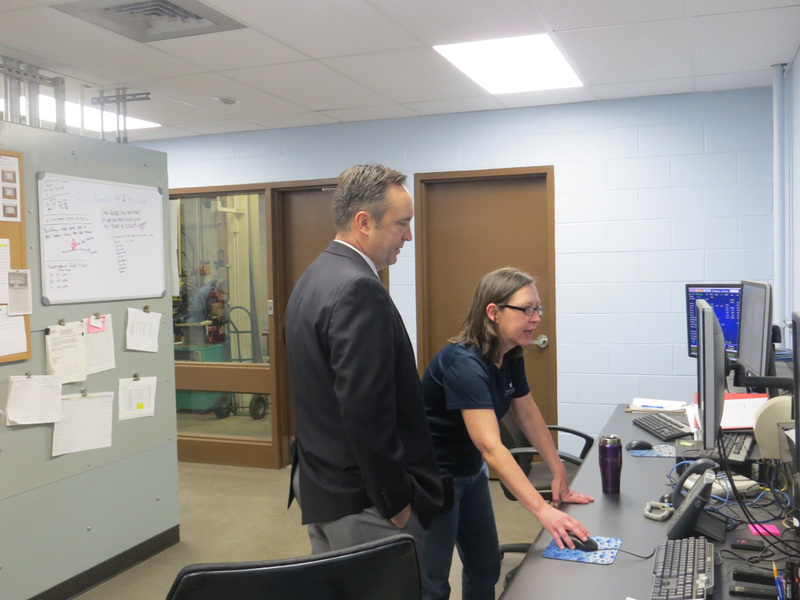 October 11, 2017 – Senator Corman tours NuVisions Center in Lewistown, pictured with Executive Director Willa Adams. 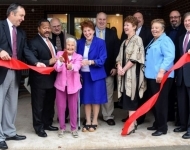 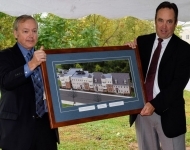 October 11, 2017 – Senator Corman attends the ribbon cutting for Mann Edge II Apartments, a 34-unit affordable housing complex for seniors. 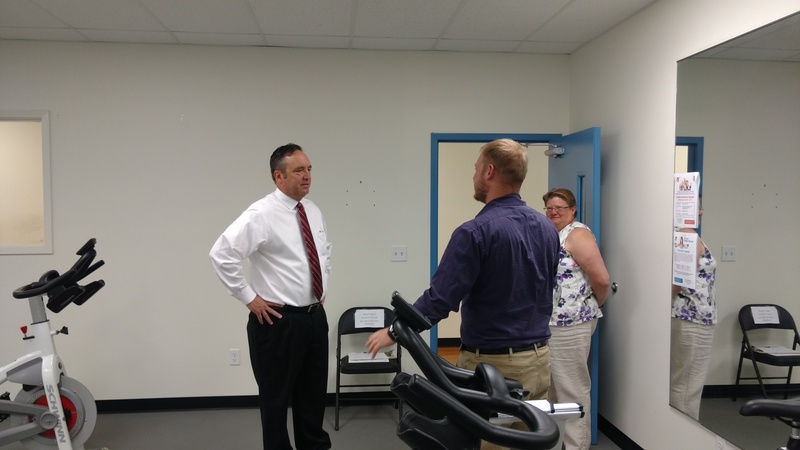 September 26, 2017 - Senator Corman participates in the Ribbon Cutting for Philips Ultrasound in Reedsville and toured their new expansion. 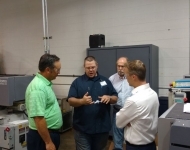 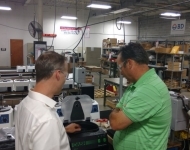 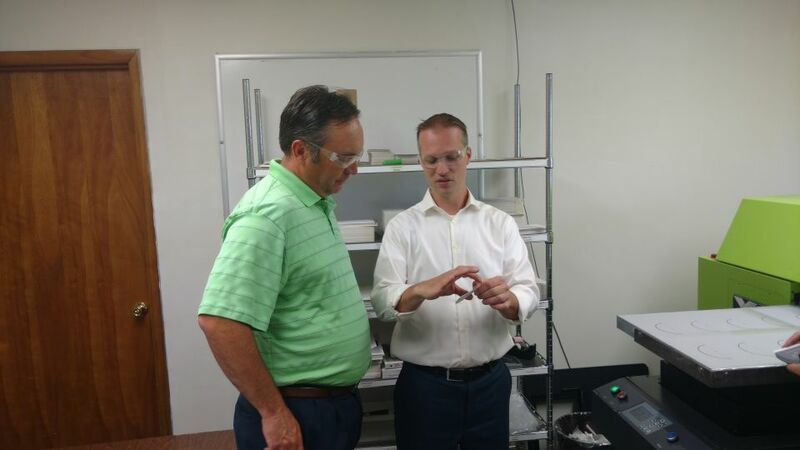 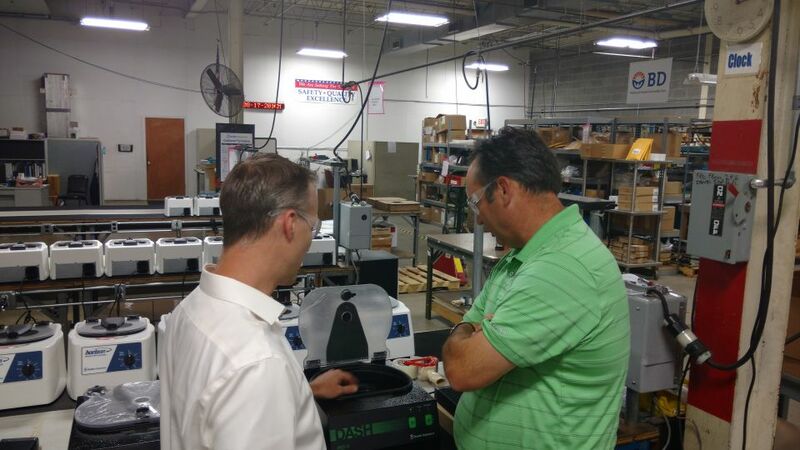 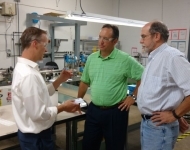 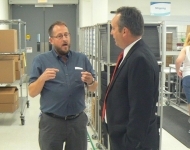 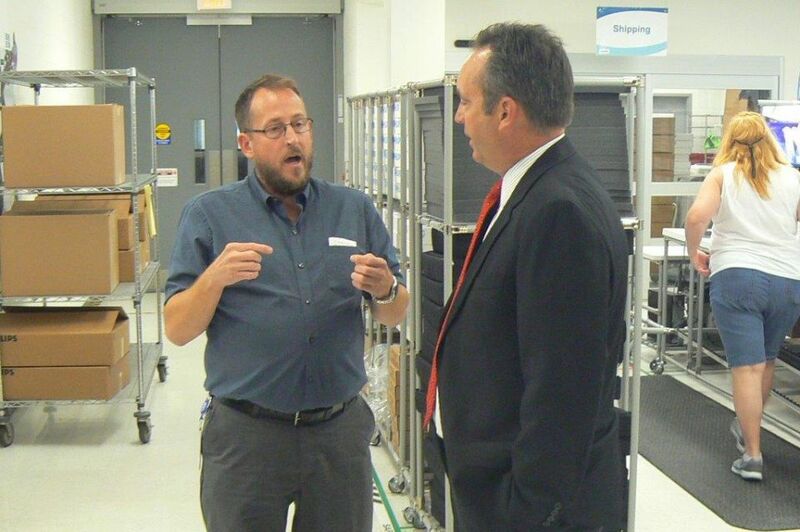 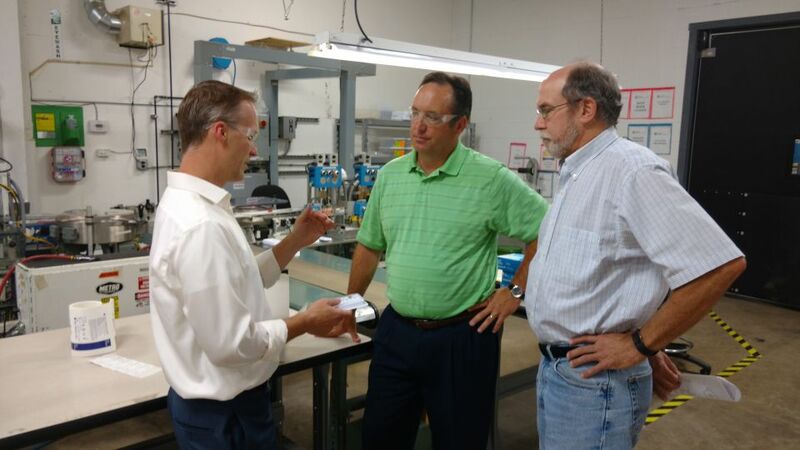 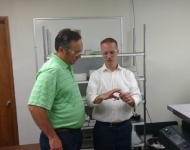 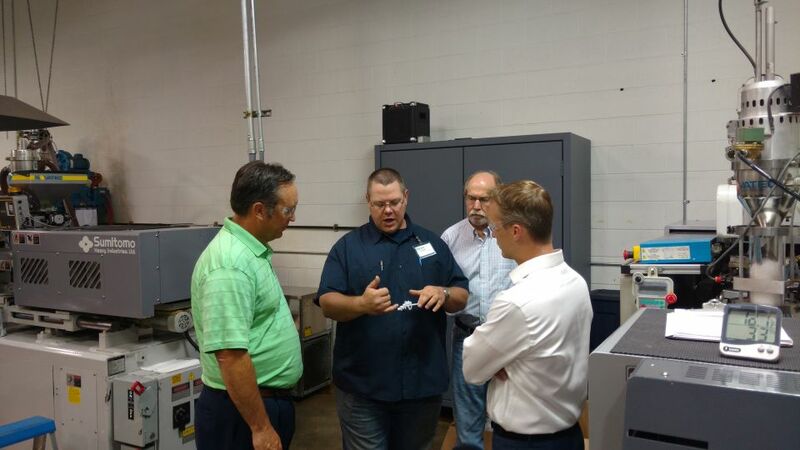 September 25, 2017 - Senator Corman tours Homeland Manufacturing Services Inc in State College. 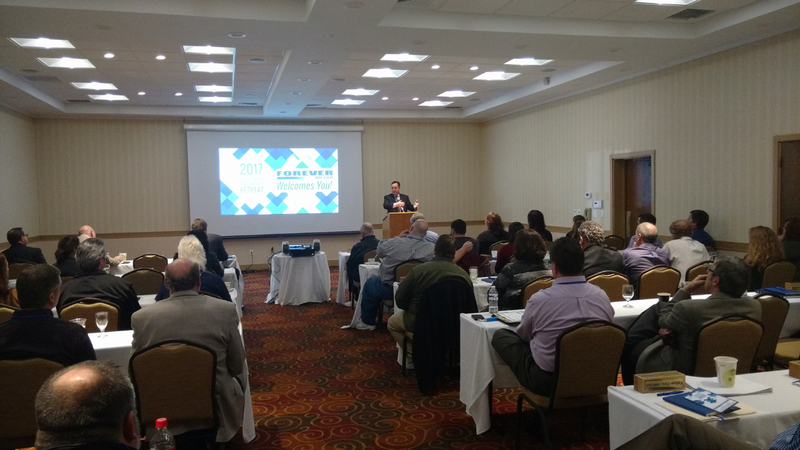 Homeland is ranked as the 16th leading manufacturer on the 2017 Inc. 5000 America's Fastest Growing Companies and is one of Central Pennsylvania's Top 100 Businesses for 2016. 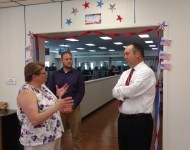 Homeland is also listed as one of the 800 Clean Jobs based in Centre County. 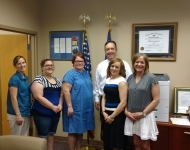 September 12, 2017 - Senator Corman visits with representatives of the Dept. 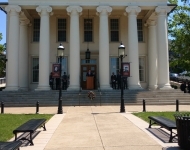 of Community and Economic Development, Philipsburg Borough, and the Philipsburg Revitalization Corporation during a walking tour of development of business and affordable housing in downtown Philipsburg, Centre County. 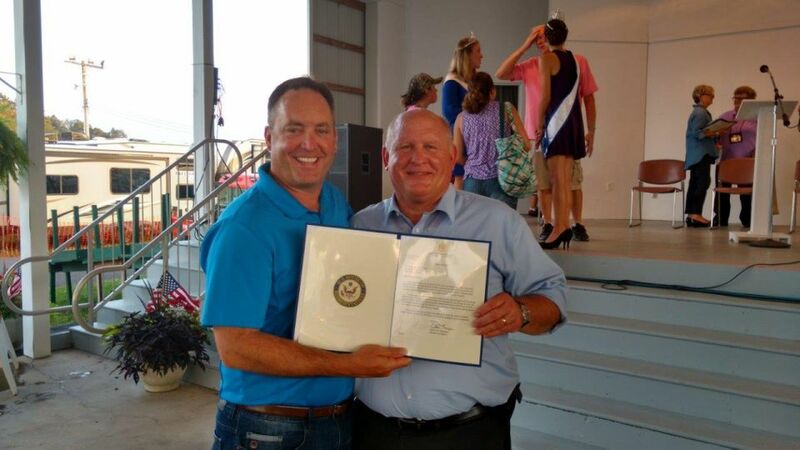 August 18, 2017 - Senator Corman receives a Congressional recognition from Congressman Glenn “G.T.” Thompson for his efforts to advance Agricultural initiatives in Pennsylvania and for his support of the Centre County Grange Fair. 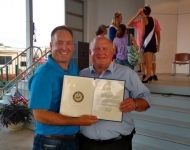 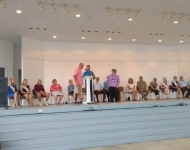 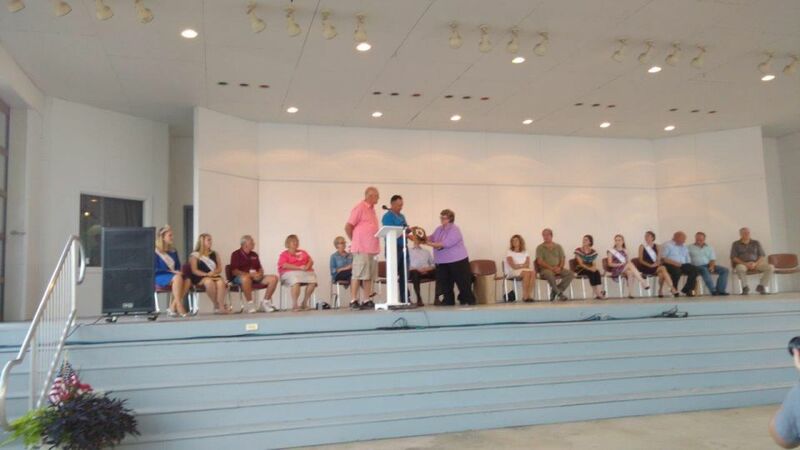 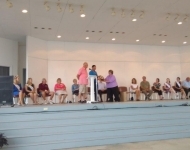 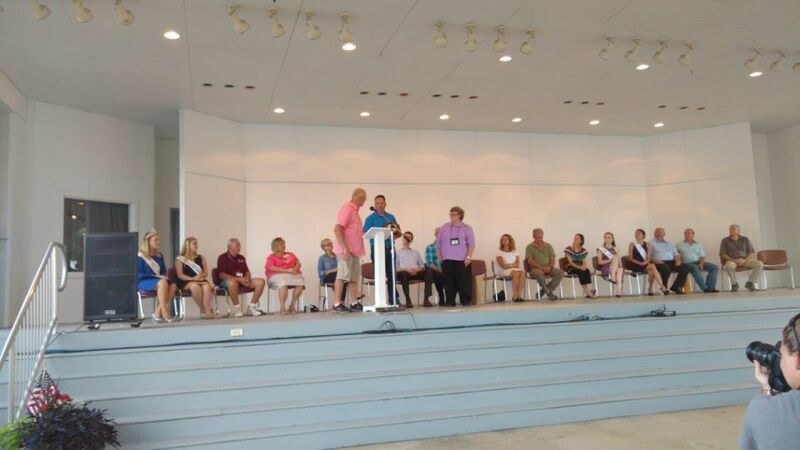 August 18, 2017 - Senator Corman receives the 2017 Friend of the Fair award from the Centre County Grange Fair. 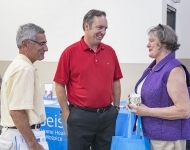 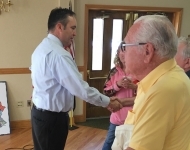 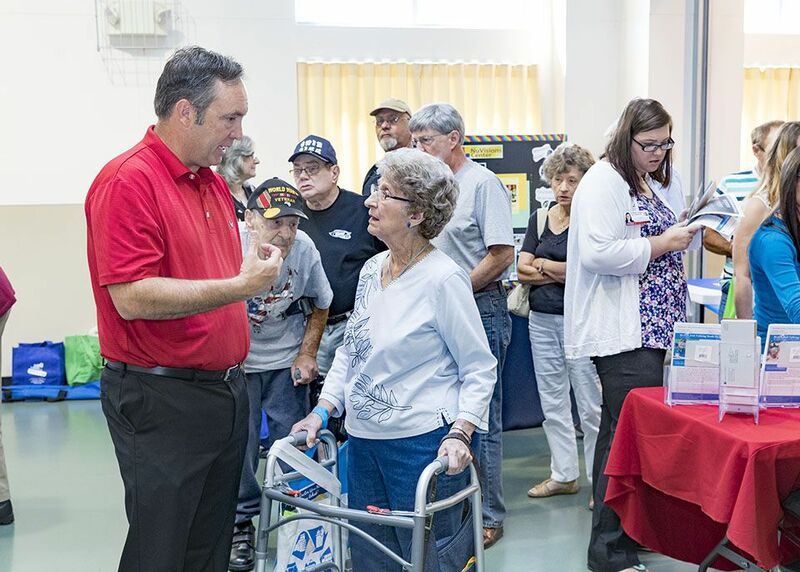 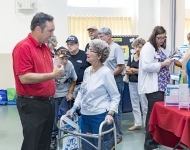 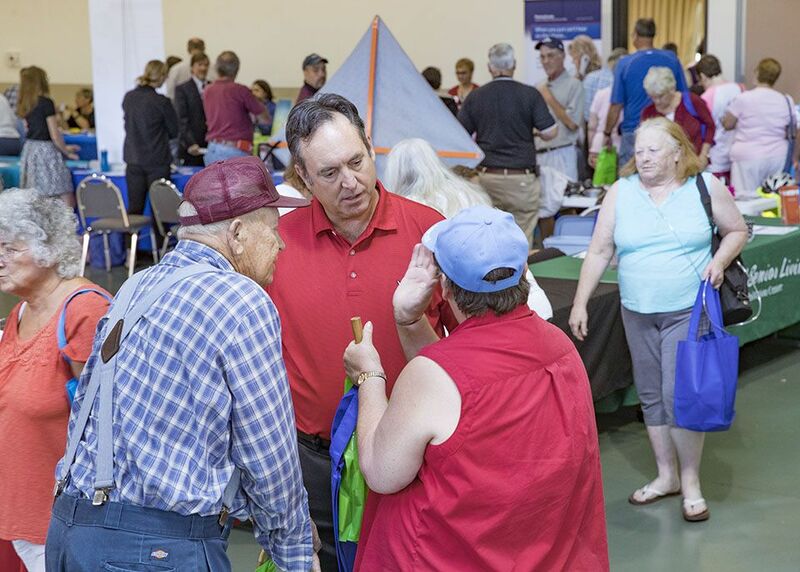 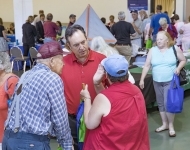 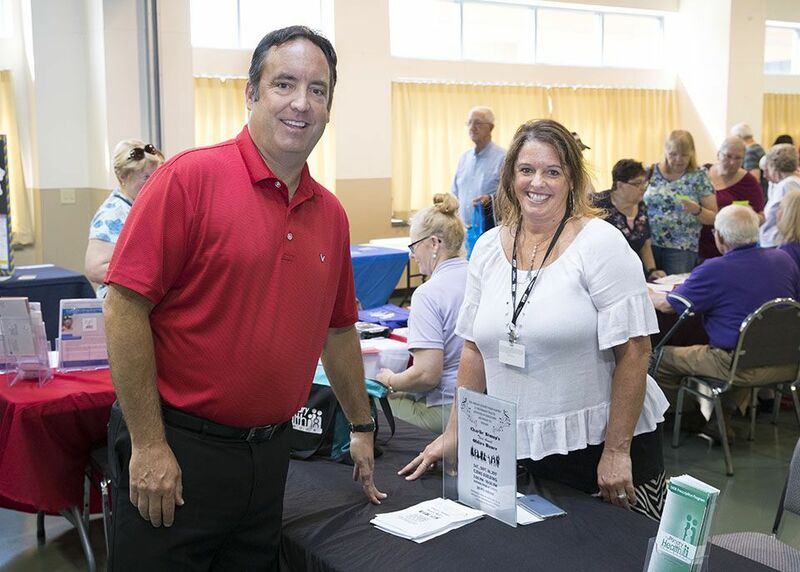 August 17, 2017 - Senator Corman tours Drucker Diagnostics production facility in Philipsburg, PA.
August 10, 2017 - Senator Corman speaks with constituents during his annual Senior Expo in Lewistown. 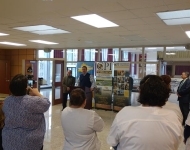 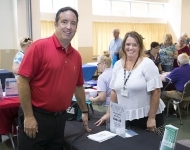 July 14, 2017 - Senator Corman attended the announcement of new Associate Degree programs at the Central Pennsylvania Institute of Science and Technology in Centre County. 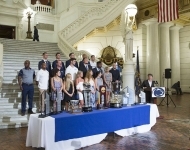 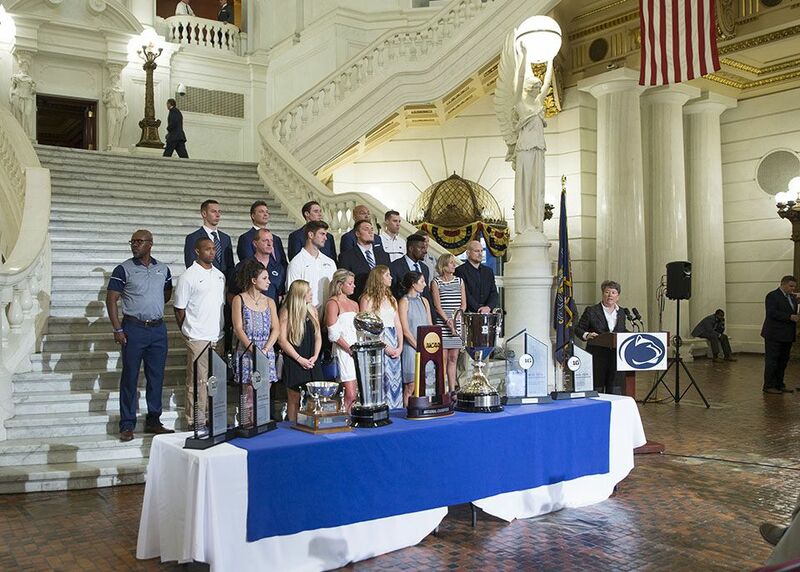 June 12, 2017 - Senator Corman welcomed to the capitol many of the coaches, administrators, and student-athletes from Penn State’s 7 2016-17 Big 10 Championships. 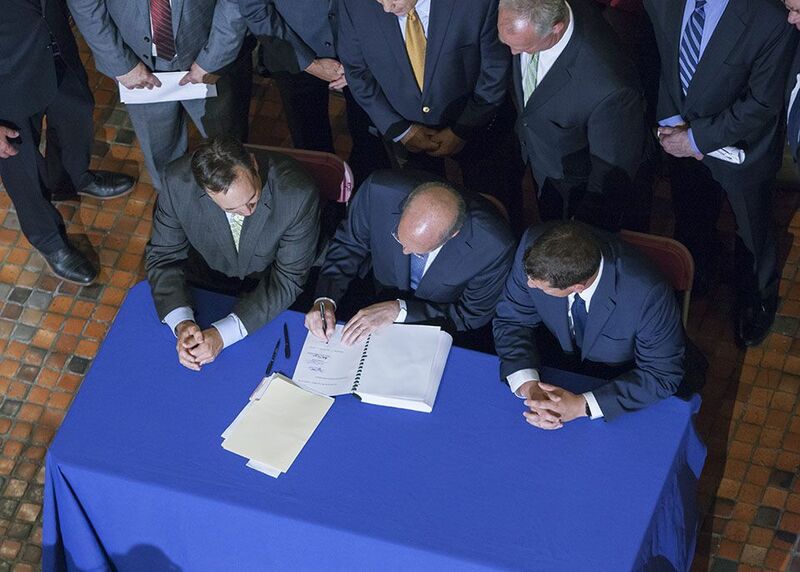 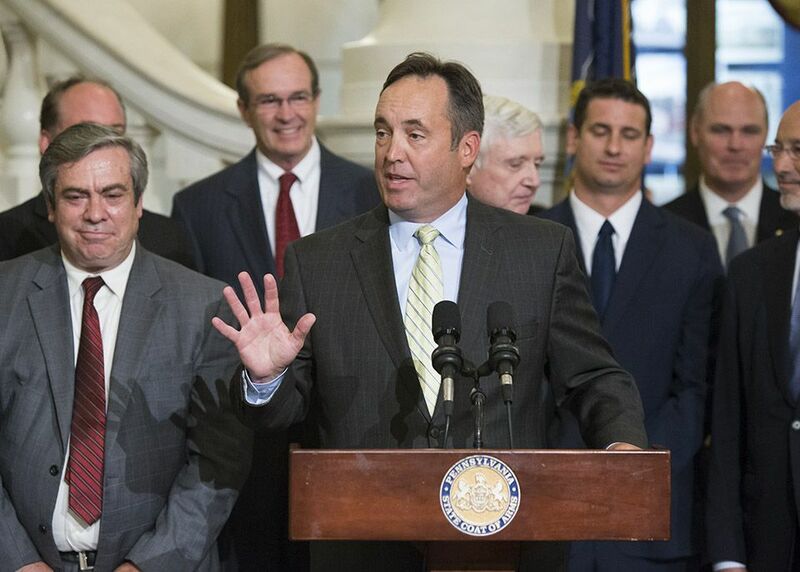 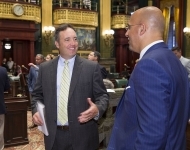 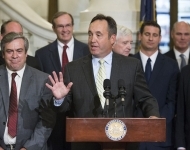 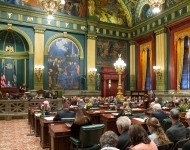 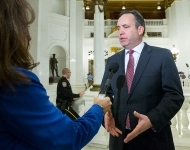 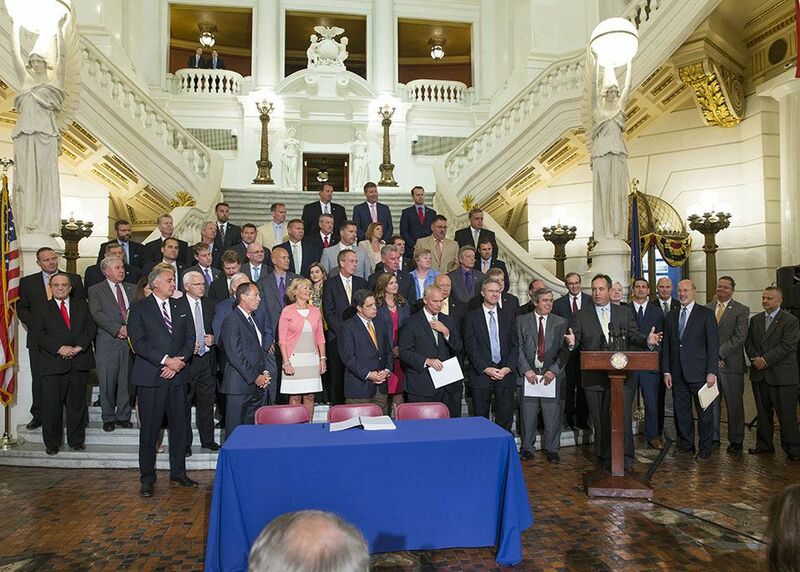 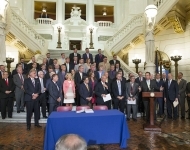 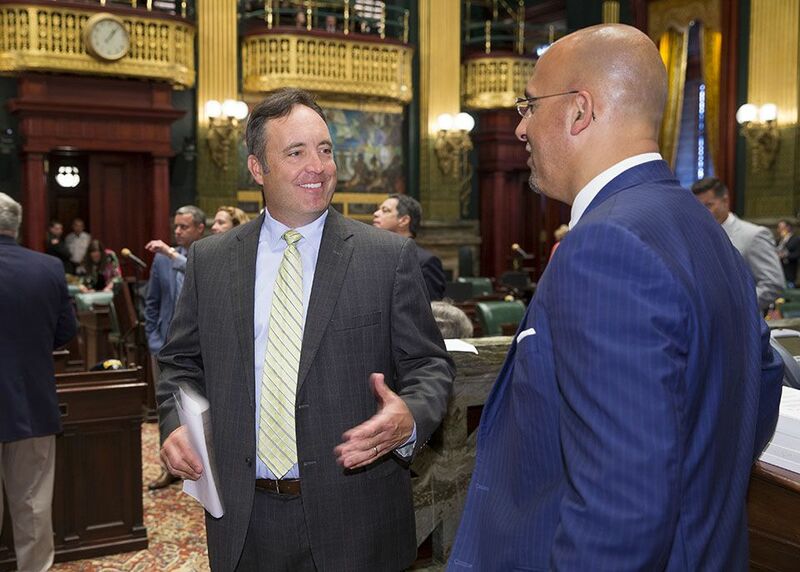 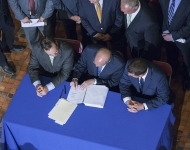 June 12, 2017 - Senator Corman provides remarks at the bill signing ceremony for Senate Bill 1, which reforms Pennsylvania’s public pension system. 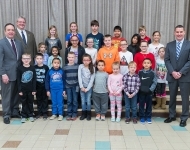 May 25, 2017 - Senator Corman participates in a check presentation for the “Seedlings for Schools” program – a partnership between NiSource/Columbia Gas, the Wildlife For Everyone Foundation, and the Pennsylvania Game Commission in order to promote the vital role of trees in the environment. 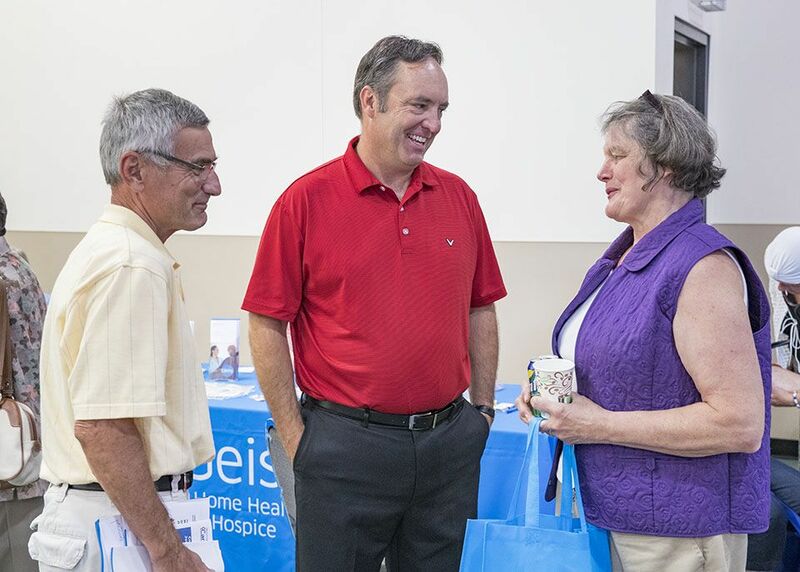 May 19, 2017 - Senator Corman speaks with residents at The Village at Penn State. 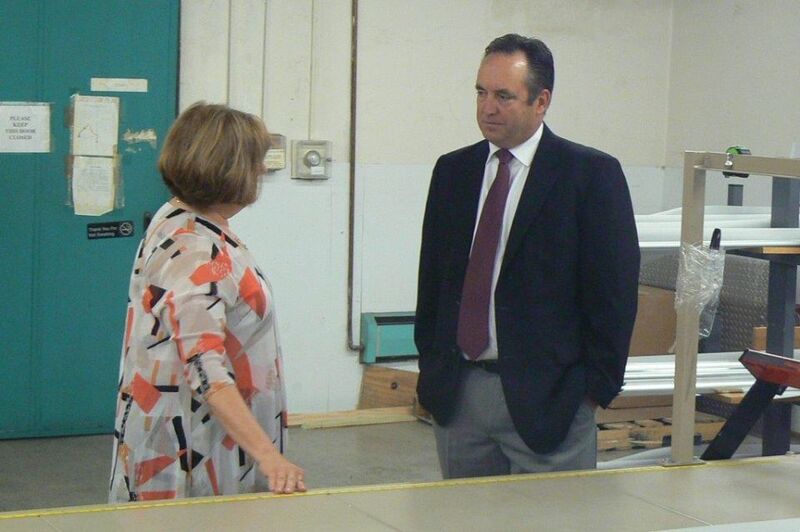 May 18, 2017 - Senator Corman tours the Hoober, Inc. in Juniata County. 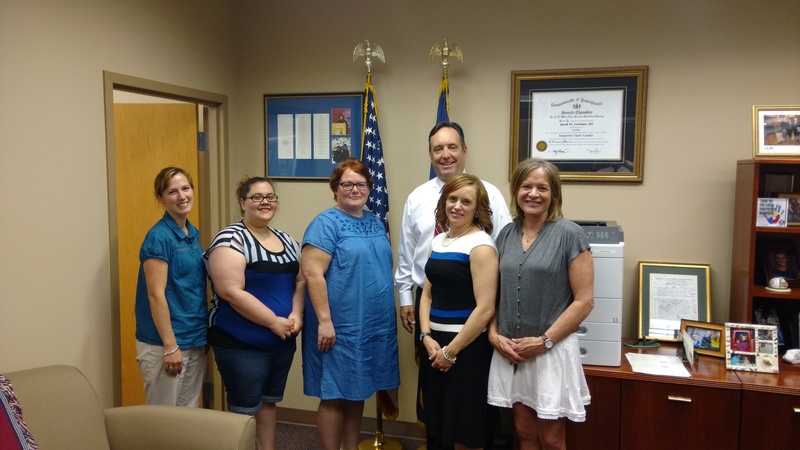 May 17, 2017 - Senator Corman meets with Early Childhood Learning professionals in his Bellefonte Office. 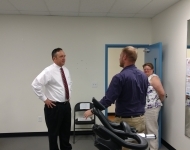 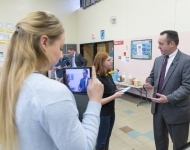 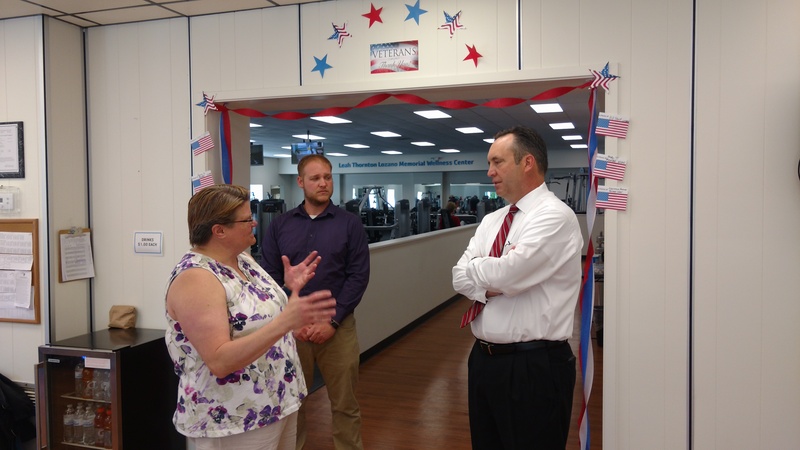 May 17, 2017 - Senator Corman tours the YMCA of Centre County’s Penns Valley Program Center. 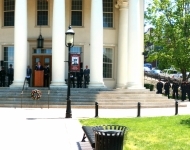 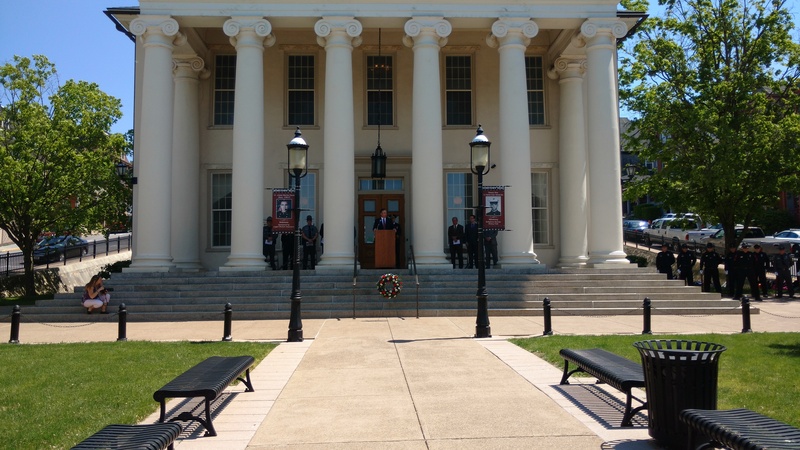 May 17, 2017 - Senator Corman was the keynote speaker at the Centre County Law Enforcement Memorial Service in recognition of National Police Week. 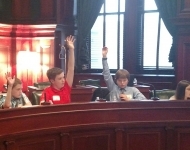 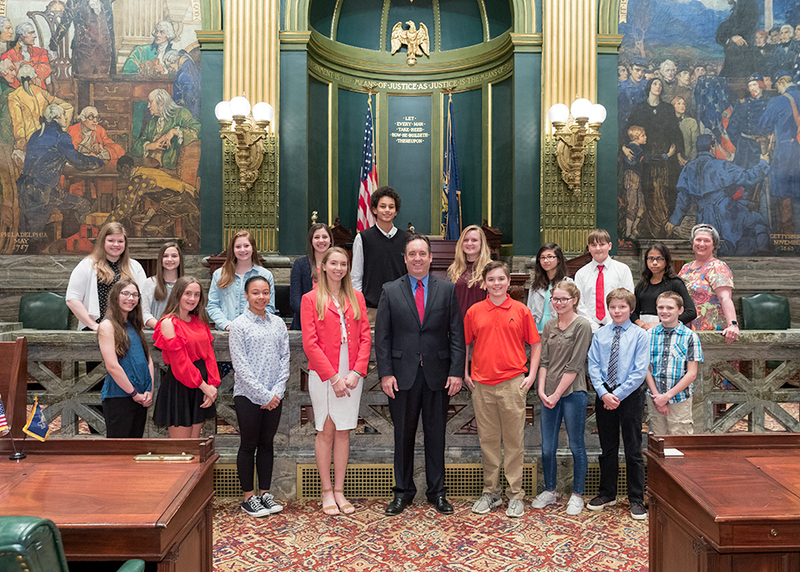 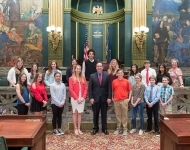 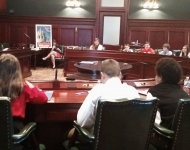 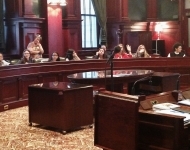 April 12, 2017 - Senator Corman welcomes the Bellefonte Area Middle School Student Council to the Capitol for a “Senator for a Day” event. 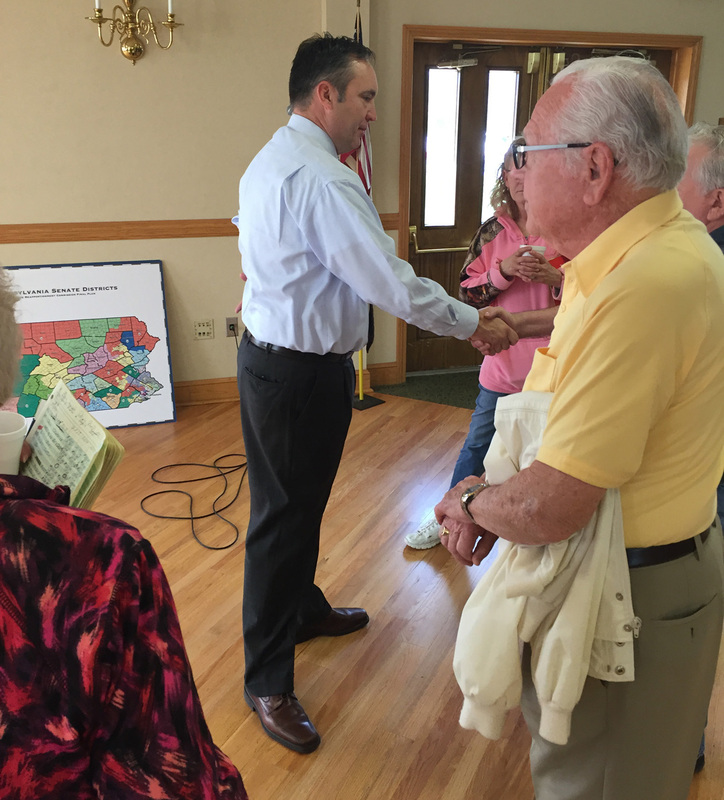 April 11, 2017 - Senator Corman speaks with constituents at his annual Juniata County town hall meeting. 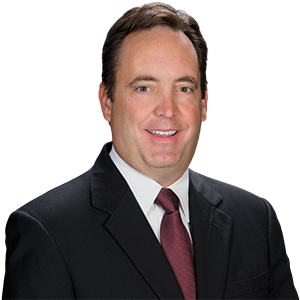 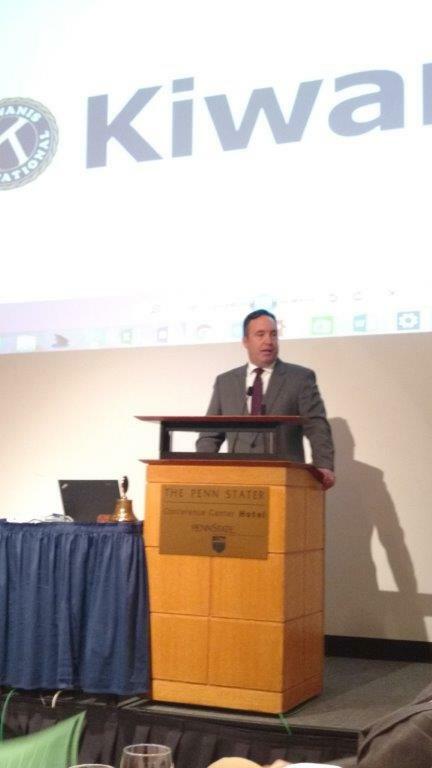 April 11, 2017 - Senator Corman as the guest speaker at the meeting of the Mifflin County Rotary Club. 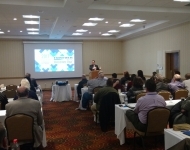 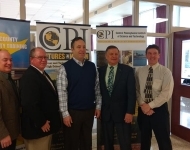 April 10, 2017 - Senator Corman provides remarks at a lunch meeting of the Chamber of Business and Industry of Centre County. 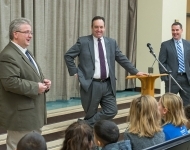 April 10, 2017 - Senator Corman speaks with constituents at his annual Mifflin County Town Hall meeting. 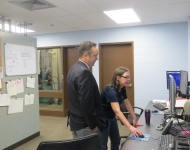 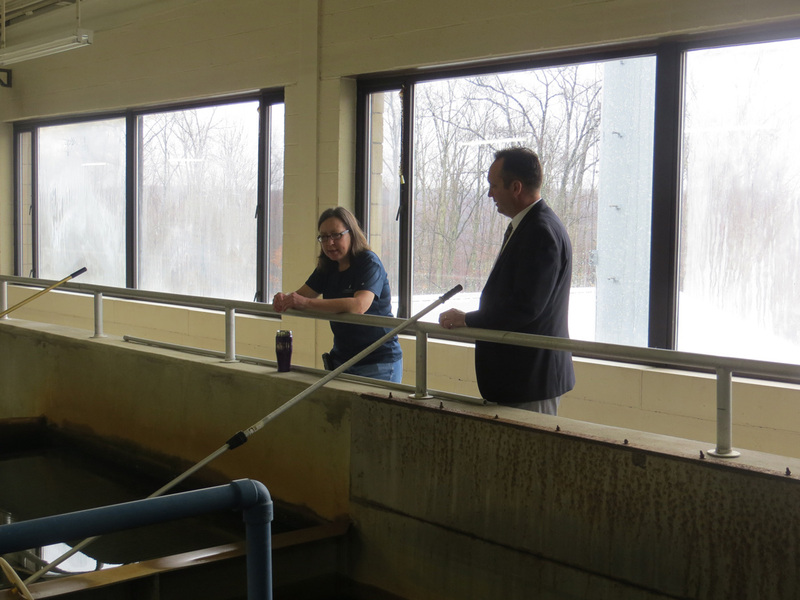 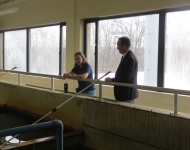 April 6, 2017 - Senator Corman tours the Pennsylvania American Water plant in Philipsburg. 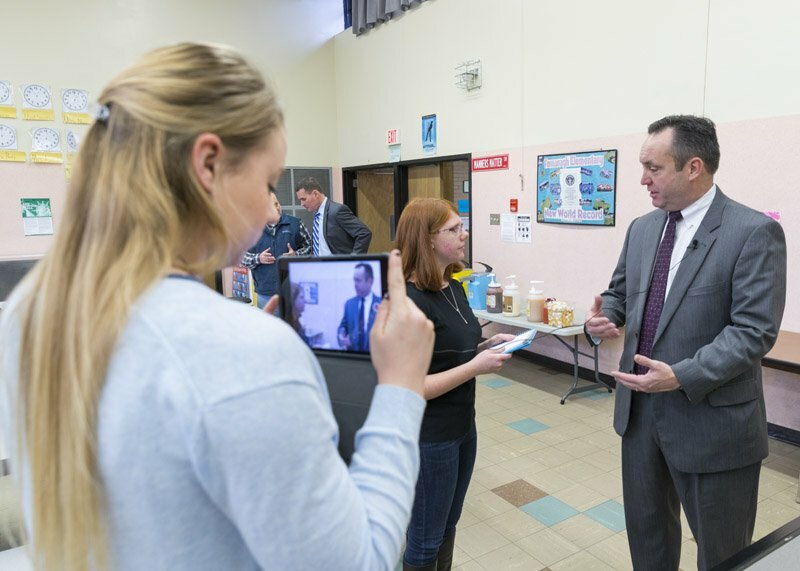 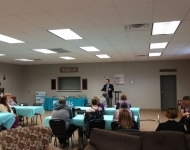 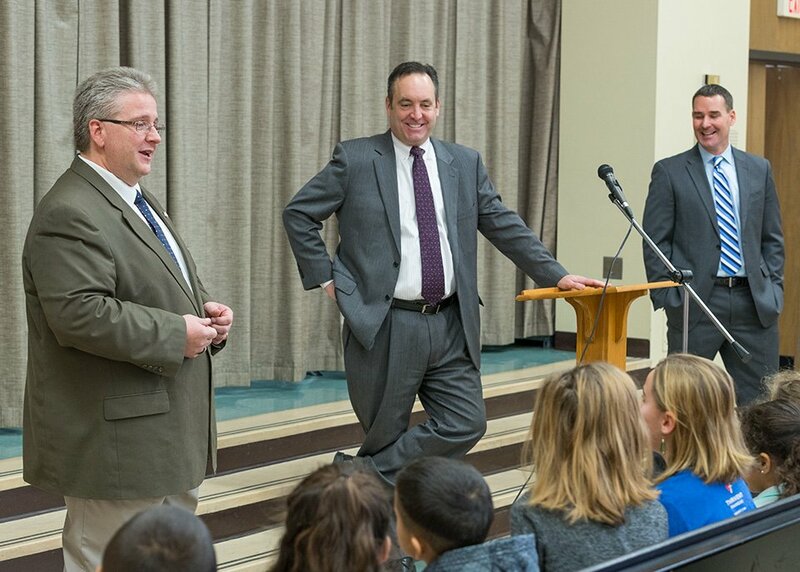 April 3, 2017 - Senator Corman speaks with constituents at his Town Hall Meeting in Centre County. 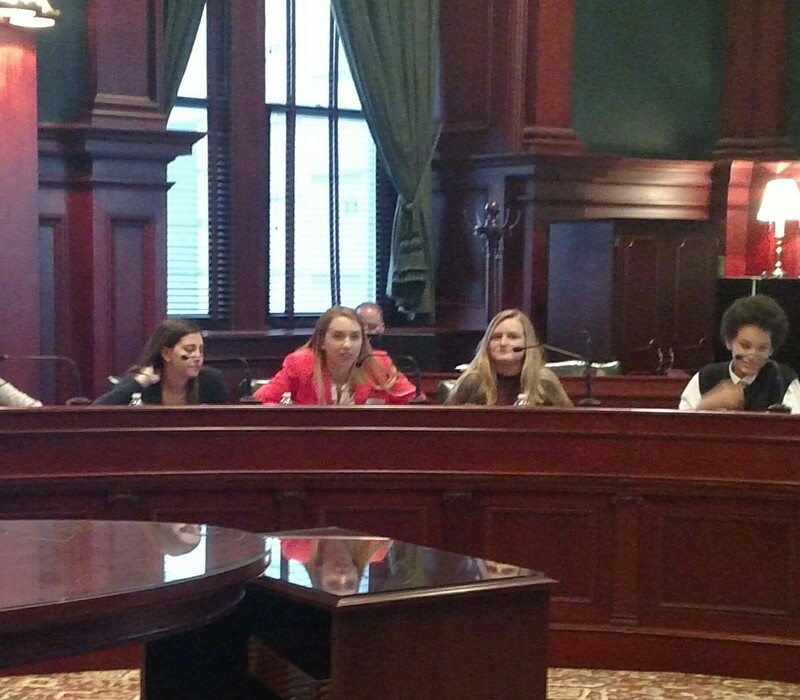 April 3, 2017 - Senator Corman provides remarks to the Forever Media Leadership Retreat. 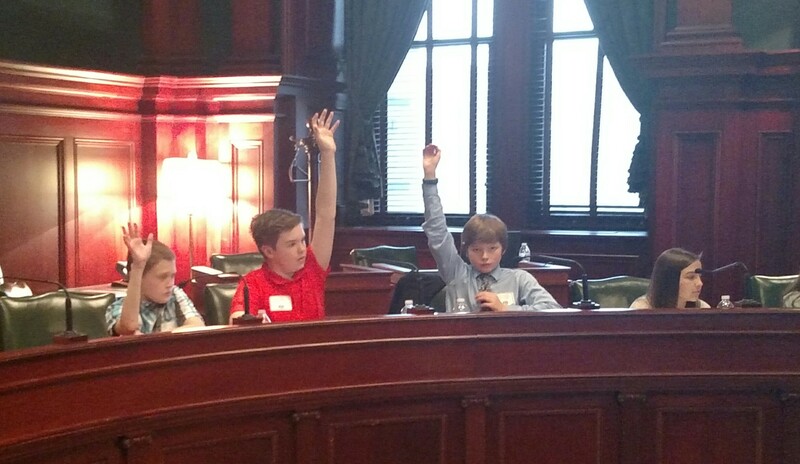 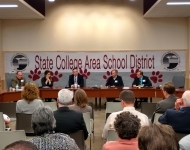 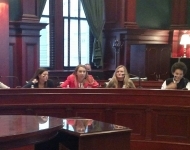 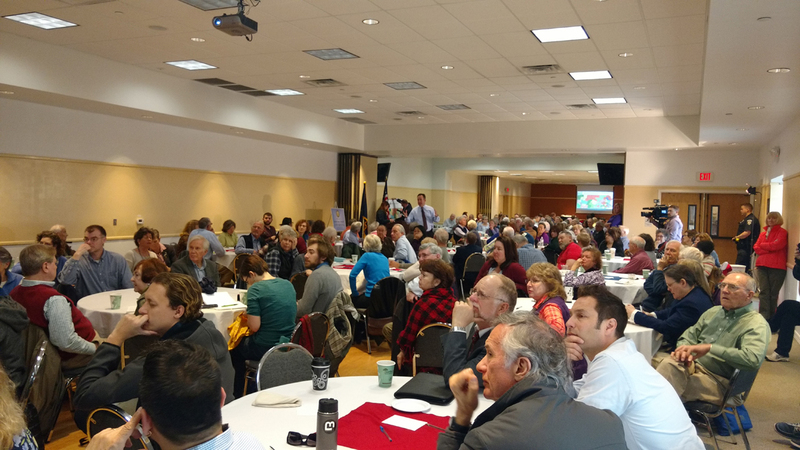 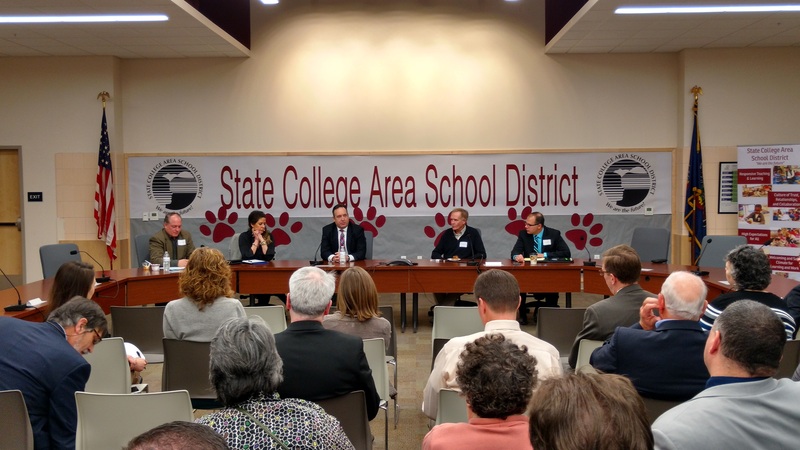 March 31, 2017 - Senator Corman participates in a panel discussion, hosted by State College Area School District, to discuss legislative efforts that impact the educational system. 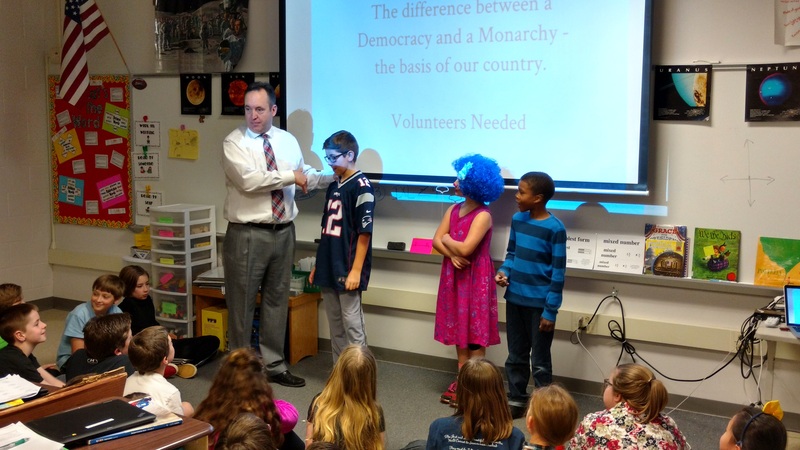 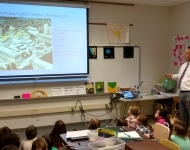 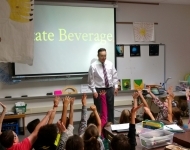 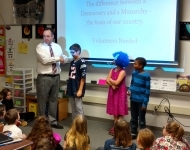 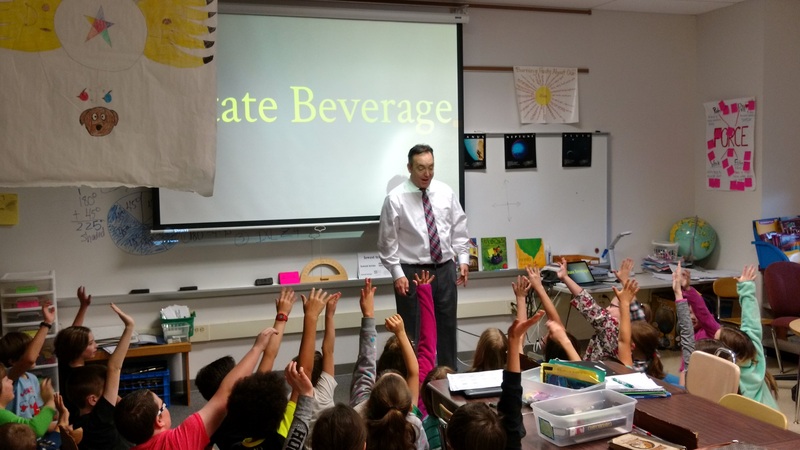 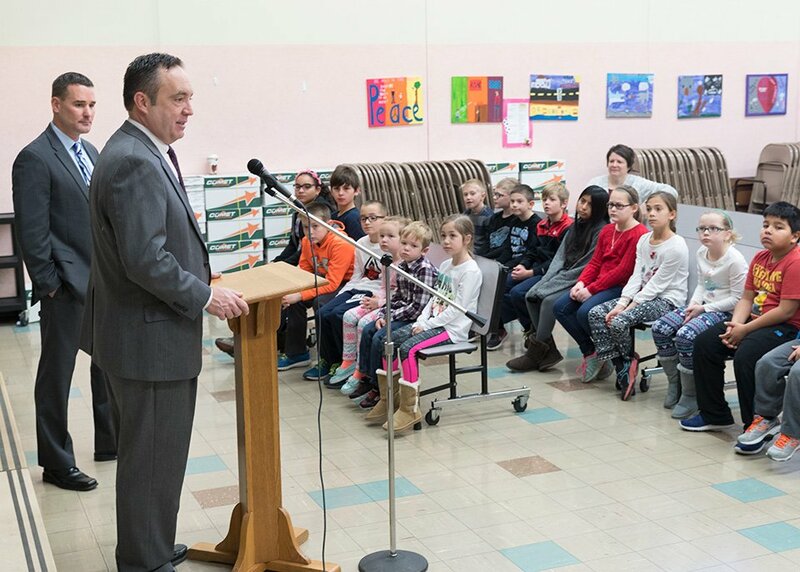 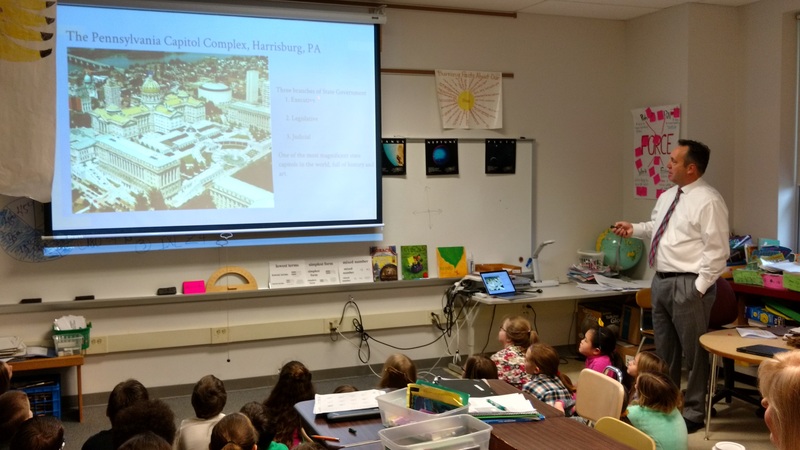 March 31, 2017 - Senator Corman interacting with the students in the fourth grade class of Mr. Rich Schmidt at Corl Street Elementary in State College. 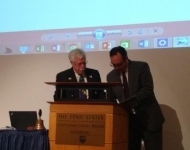 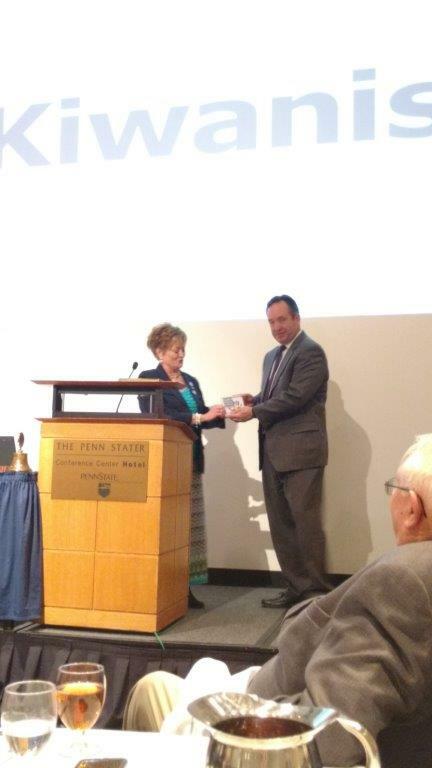 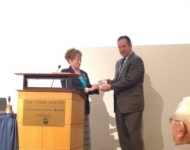 March 18, 2017 - Senator Corman was the Key Note speaker at the Pennsylvania Kiwanis Mid Year Conference in State College where he was awarded the Kiwanis International President’s Award from Kiwanis International President Jane Erickson. 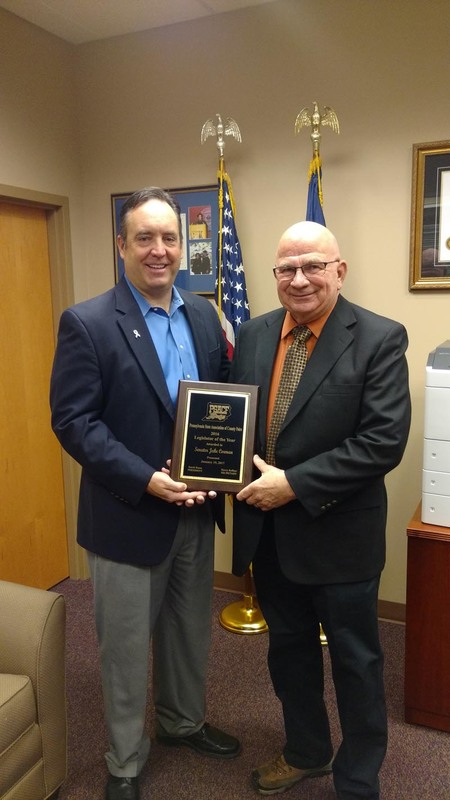 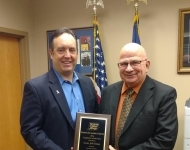 March 17, 2017 - Senator Corman recently received the Legislator of the Year award from the Pennsylvania State Association of County Fairs. 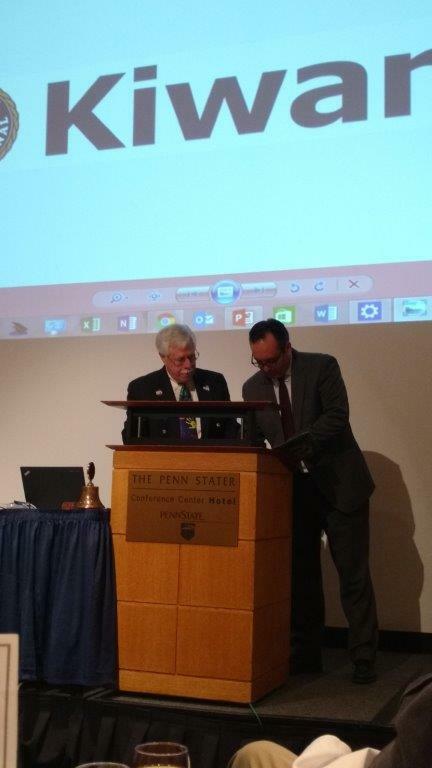 Presenting the award is a local PSACF representative, George Witherite. 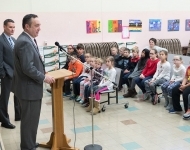 February 24, 2017 - Senator Corman celebrates with families of children with disabilities as they receive adaptive bicycles from “Variety – The Children’s Charity” at the Bellefonte branch of the YMCA of Centre County. 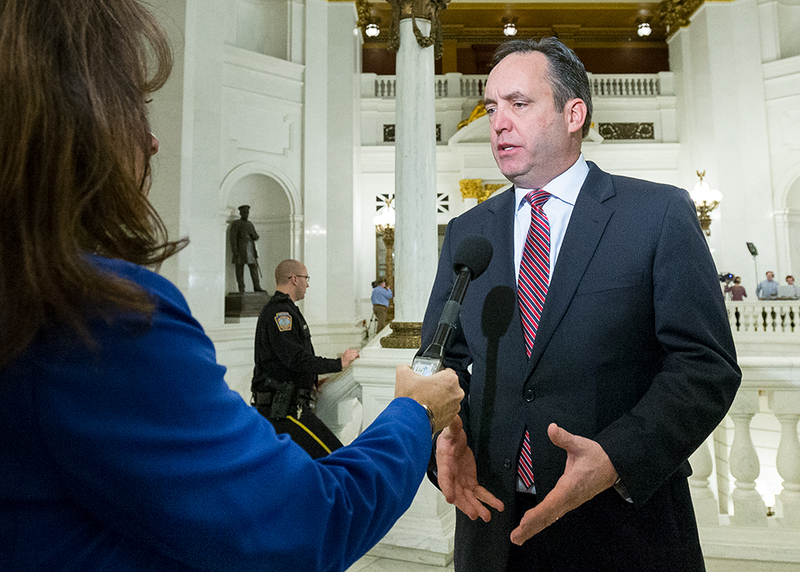 February 6, 2017 – Senator Corman speaks with a reporter after the Governor’s 2017 Budget Address. 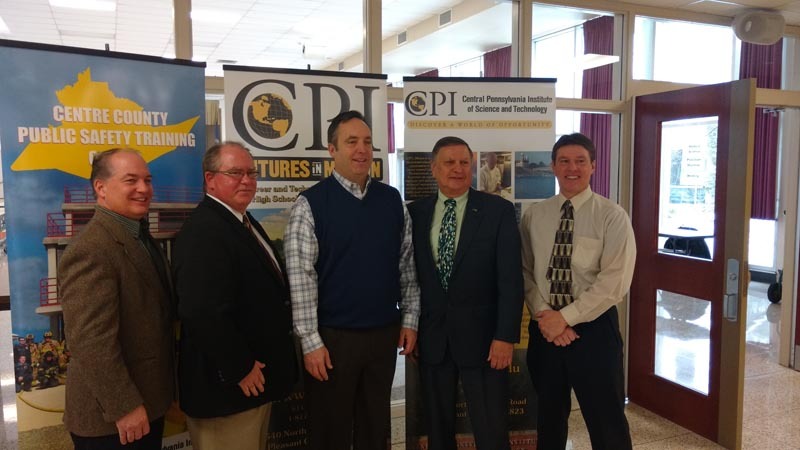 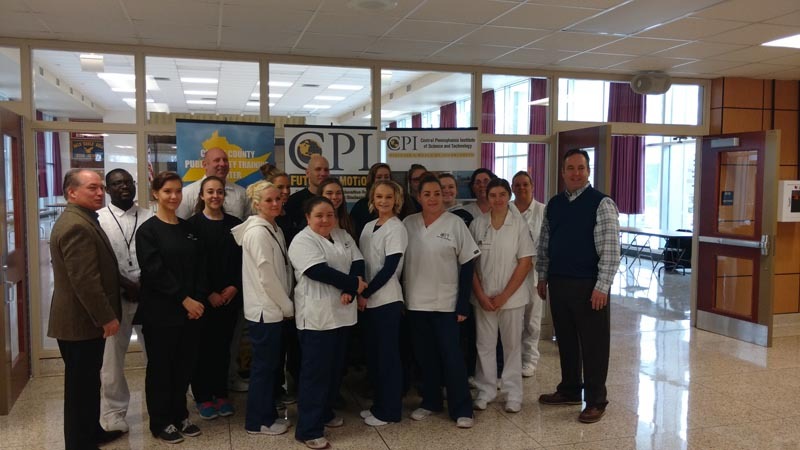 January 10, 2017 - Senator Corman, joined by Representative Kerry Benninghoff, announces a $910,000 grant awarded to the Central Pennsylvania Institute of Science and Technology (CPI) from the Commonwealth Financing Authority. 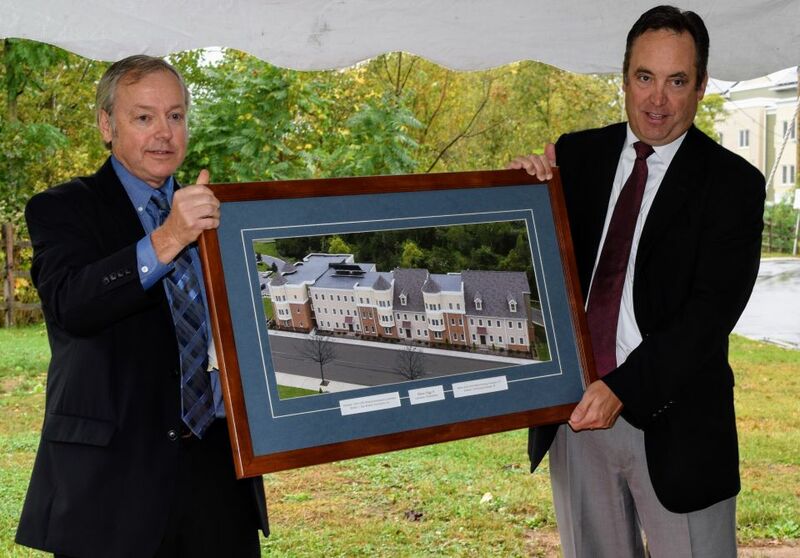 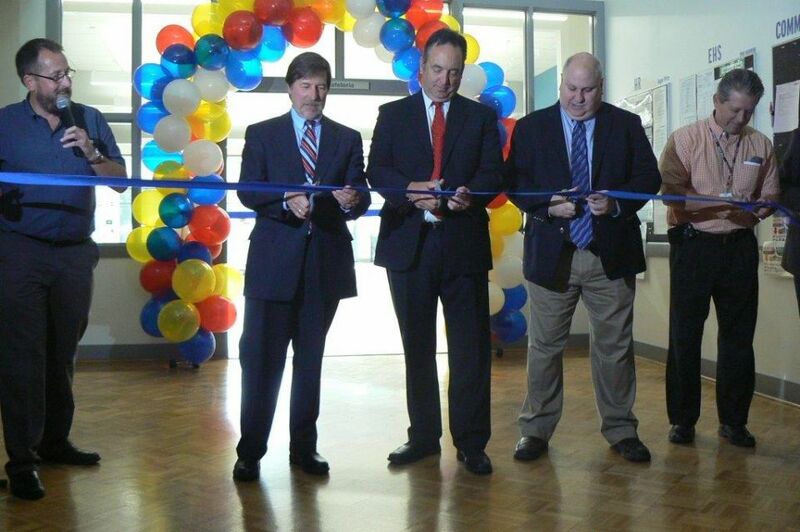 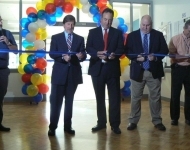 The funds will be used for the planned expansion and creation of a Health Sciences building. 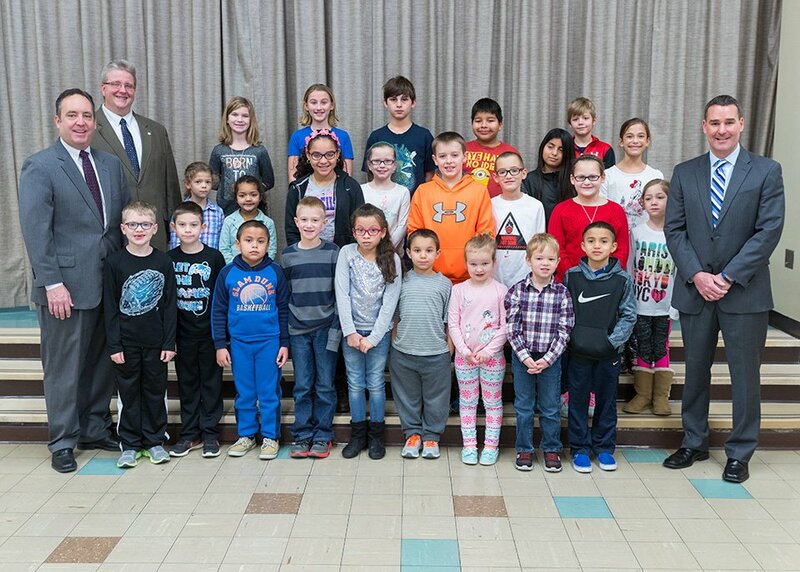 January 4, 2017 - Senator Corman joins Representative Adam Harris at the Fermanagh-Mifflintown Elementary School to announce a $1.1 million multimodal transportation fund grant for road and sidewalk safety improvements. 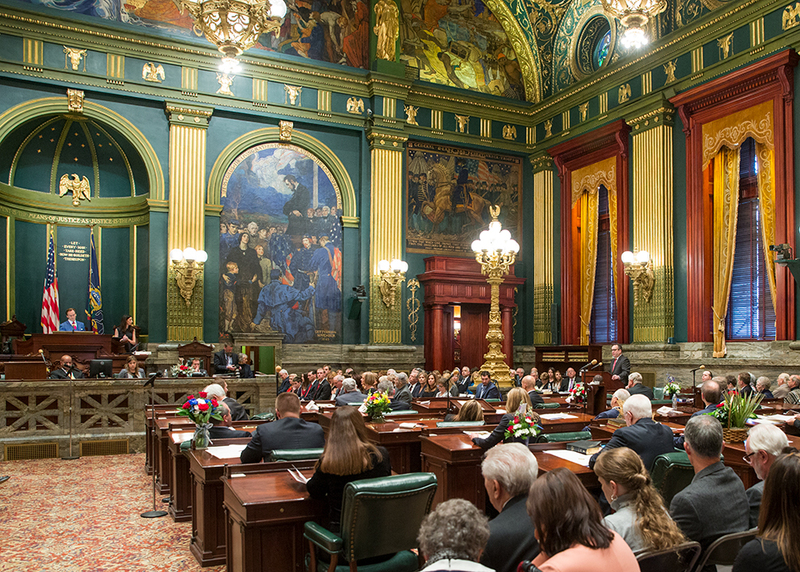 January 3, 2017 - Senator Corman addresses the Senate during the 2017 swearing-in ceremony.